Born in New Gretna, New Jersey, in 1874, Andrew Cottrell Boswell attended college at Penn to study chemical engineering. 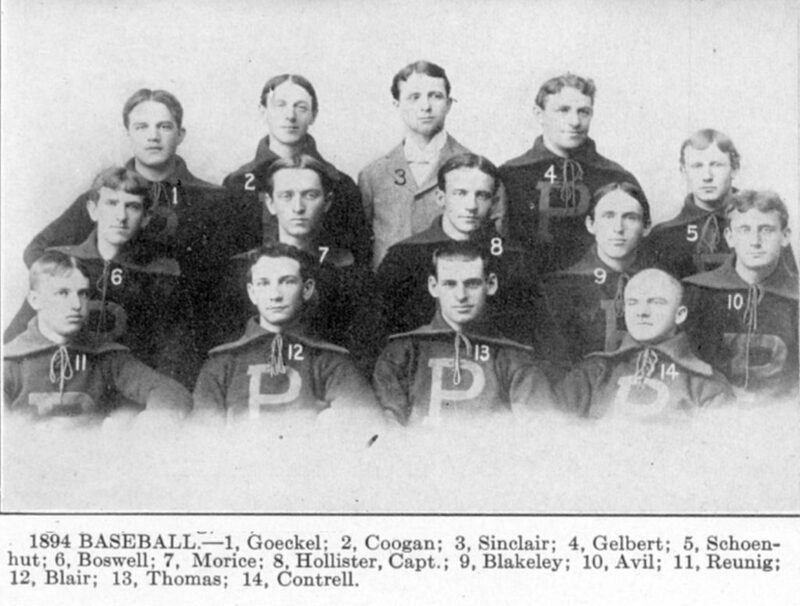 Considered one of the best pitchers in Penn’s baseball history, Boswell pitched on Penn’s 1893 and 1894 baseball teams. He left Penn before graduating to play professional baseball. As a pitcher and first baseman, Boswell debuted with the New York Giants in May of 1895; he also played with the Washington Senators that year, but did not continue as a professional baseball player past the 1895 season. In 1900 Boswell became a city solicitor for Ocean City, New Jersey. Later, when he developed arthritis but refused to give up his work, his son John (an assistant city solicitor) took over his duties for him. Andrew Cottrell Boswell’s accomplishments included leading the fight to keep Ocean City, New Jersey, a dry community. He also continued his interest in baseball, inviting college baseball players to play on local teams in Ocean City in an attempt to boost the city’s image. Boswell died in Ocean City, New Jersey, on February 3, 1936.